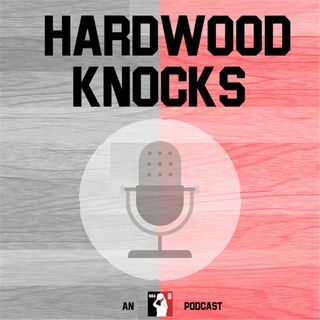 The Jimmy Butler trade-request saga is rolling along, so the fellas from Hardwood Knocks feel compelled to tackle it from all angles. The latest from ESPN.com's Adrian Wojnarowski has Timberwolves coach-president Tom Thibodeau resisting outside inquiries while owner Glen Taylor remains open to moving Minnesota's All-NBA wing. Where will Butler land? Which teams should even trade for him? What can the Wolves expect to get for his services? PLUS: What does the future of the ... Maggiori informazioni Timberwolves look like without Butler? Should it include Thibs? How about Andrew Wiggins? Come one, come all, and indulge your inner soap opera fan with some Jimmy Butler trade destinations, Timberwolves dramatics and so much more!